in Carbon and Our Soil, Education, News At A Glance and tagged agriculture, compost, food. Bookmark the permalink. 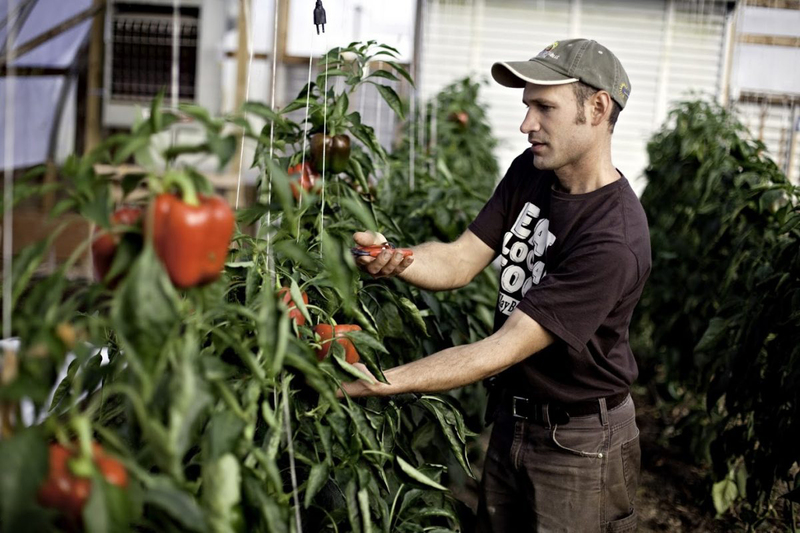 Over the last nine years, Ben Hartman’s farm in northern Indiana has become more efficient and profitable following the techniques developed by an unlikely source: Toyota. By adapting the production techniques developed by the car manufacturer—commonly referred to as “lean manufacturing“—Hartman has revolutionized his methods, cut down his work hours dramatically, and shrunk the size of his farm, all while making a better income. 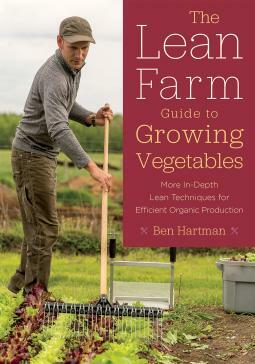 In his 2015 book The Lean Farm, Hartman detailed how lean manufacturing techniques could be broadly applied to agriculture; in his new follow-up, The Lean Farm Guide to Growing Vegetables, he goes deep on the specifics of adapting the principles to vegetable growing, from starting seeds and plant spacing to making compost and using specific tools to cut out waste. Civil Eats recently spoke with Hartman about setting up his new farm, how his latest book came about, and how Hartman doesn’t feel like he’s adapting lean thinking to agriculture at all, but simply going back to its source. Why do you think lean—which is so deeply rooted in car manufacturing—makes sense in agriculture? Actually the first workers at Toyota were rice farmers. And they brought a lean way of thinking onto the factory floor with them. What I’m doing is taking the lean system back to the farm. Rice farmers in 19th century Japan were very shrewd. They had a growing population, and they had a lot of mouths to feed. They redesigned their farming to feed Japan’s growing population and they did this by identifying different types of waste and really utilizing every square foot of land that they had. Have your views on these principles changed since your first book came out? No, they haven’t. We’ve just implemented lean on a deeper and deeper level. I’m consistently amazed at how much waste we still have on our operation nine years after beginning our lean journey. The idea behind kaizen, the continuous improvement concept in lean, is that there is no perfect system, no final solution. We’re not looking for the perfect, final way to grow our tomatoes. We’re just looking every year to cut out more and more waste from our tomato-production system and align our work ever more tightly with what our customers want. 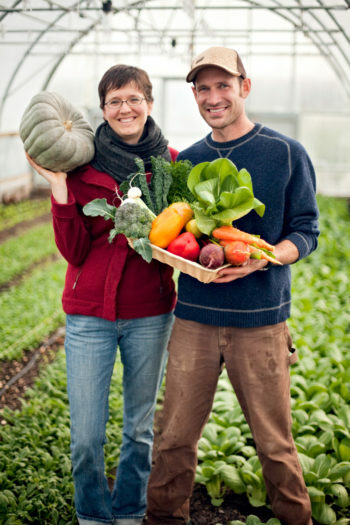 Rachel Hershberger and Ben Hartman on Clay Bottom Farm. The first couple seasons we focused on getting rid of the low-hanging fruits—they call them “type-two mudas” in lean speak. These are the obvious wastes. We had too many tools on hand. We had too many supplies. Our production systems were too complicated. So we simplified our system, and that took a couple of seasons. Then we could start implementing ideas like “Single Piece Flow.” We started using spaghetti diagrams and really counting our steps. For three seasons, we’ve contracted the size of our operation. And we’ve grown more profitable every time we’ve gotten smaller. Which tells me that it’s working—that lean is helping us focus and increase our profits with less work. Have you been able to see the lean principles being implemented on other farms since your first book? I have. I’ve been fortunate enough to visit a couple places. Especially through the Lean Farmer Facebook group. People post photos of all the junk they’re getting rid of, how they’re reorganizing their farms, and how they’re thinking differently about their process. It’s very inspiring to me to see changes on other people’s farms and to have people come up to me and say, “Hey, if I hadn’t read your book, I wouldn’t be in business.” That keeps me going. Have you received any negative feedback about these ideas? After the first book came out, I heard, “We love the concepts, but we want to know how you apply lean specifically to the vegetable crops that you grow.” So that’s why I wrote the second book—to fill in the details of how. In the first book, I explained the concepts and tried to make the book applicable to any size and type of farm. And the second book I wrote for small-scale market vegetable growers. It’s explaining in detail how we’ve taken these concepts and applied them to radishes, turnips, carrots, and everything else that we grow. And you’ve also just moved your farm, right? We’re in the process of moving. We’re doing excavation, and we’re halfway done building a greenhouse on the new property. It’s a once-in-a-lifetime opportunity to set things up with these lean principles from the very beginning. Talk a little more about that. First, it puts us within a mile and a half of all of our customers. So we are going to spend much less time on the road and much more time on the farm adding value. Number two, we’re contracting the size of our farm even more. 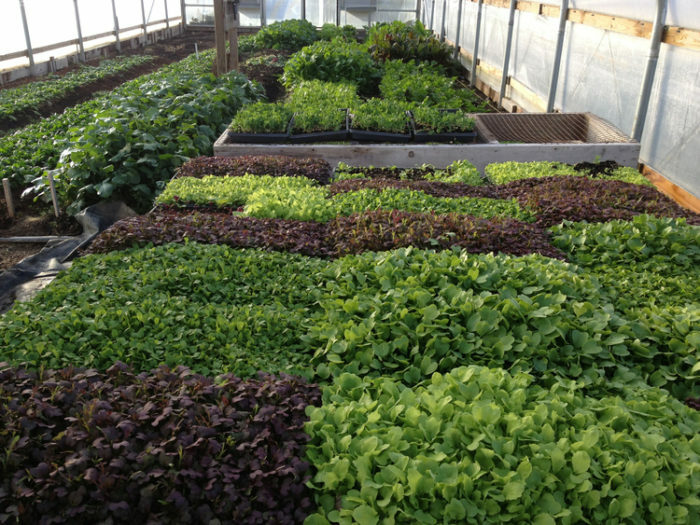 And we actually hope to grow and sell more by using some lean principles in how we lay out the farm. We’re going to be able to be more efficient with less infrastructure and less space. We’re hoping to develop this farm with just two buildings, two roofs. Our old farm, we had gotten to the point that we had 11 structures that we were paying taxes on and performing maintenance on. We had four greenhouses under 9,000 square feet at the old property. We would build a greenhouse as we had the money—we couldn’t afford [to build] all of them at the same time. However, with this new property, we’re just building one large greenhouse, which will give us about the same amount of room as the [previous] four. We’re also building a house/barn. The idea of a connected farm, where many functions are pulled together under one roof is appealing to me. We’re going to save a lot of money just by sharing walls, sharing hot-water heaters, sharing furnaces. So it’s a building that will be our house, our processing [facility], our potting shed, [and] an office, [and] there will [also] be employee bathrooms, tool storage, and equipment storage. Has the amount of acreage you cultivate changed at all? We were doing a little more than half of an acre, and we’re going to scale down again and hope to do it on less than half of an acre. And part of the reason we can is that we switched to this Paperpot transplant system, so all of our bed lengths are going to match the lengths of the paper chain [that the Paperpot uses for fast planting of seedlings]. We’re designing the farm around the Paperpot system. Interesting. You warned a little bit against getting too focused on tools in your first book, but what about the Paperpot Transplanter motivated you to dedicate a section of your book to it and then to set up your new farm around it? The big qualifier I like to use is that I never like to be too adamant about one tool. It’s a tool that works in our case for the types of crops our customers tell us they want. It’s going be a totally inappropriate tool for a lot of farms. Our system might also be totally different two years from now. I think that’s the genius behind a lot of the agriculture in small Asian countries and other smaller countries—to make it they just had to constantly reinvent their farming. We think of agriculture as static. We think that people grew rice or beans or whatever the same way for tens of thousands of years. But history shows that’s simply not correct. Indigenous native cultures were constantly reinventing their farming.